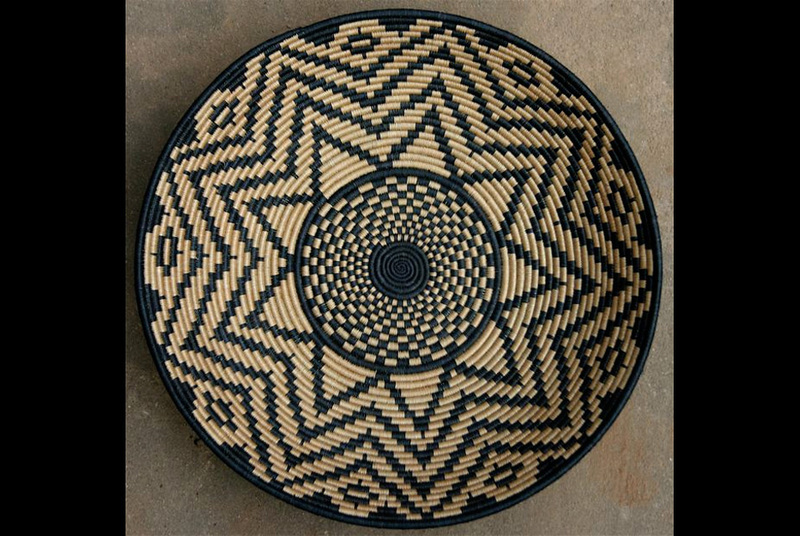 Handmade basket created by both Hutu and Tutsi women in Rwanda. SANTA FE, N.M.- When more than 150 of the worlds finest traditional artists travel from the farthest corners of the globe to participate in the Santa Fe International Folk Art Market this July, some will arrive as widely celebrated cultural artists, while others will be leaving their villages and boarding planes for the very first time. Many will be coming from developing countries where the average income is less than $3 a day and where overwhelming political, social, and environmental challenges can make everyday lifenot to mention the creation of arta struggle. All artists will be taking part in an extraordinary event that not only showcases their work but helps change their lives and their communities. Shopping at the Market is shopping that clearly makes a differenceit helps many artists raise themselves and their communities out of poverty, and it helps preserve critical cultural traditions. Last years Market generated more than $2 million in sales, 90 percent of which went home with the artists. This means that, in a remote village in Pakistan, the Lila Handicraft womens collective was able to use the money made by selling its patterned ralli quilts to build a new school. An embroidery group in Afghanistan, Kandahar Treasures, was able to rescue women begging on the streets and teach them traditional needlework to support themselves. In Rwanda, Janet Nkubana was able to continue the work of her cooperative, which features Hutus and Tutsis coming together to weave peace baskets. She also earned enough to buy mosquito nets to curb the spread of malaria and build new vegetable gardens for the local community. The 2011 Market will feature more than 70 new participants including artists from Cambodia and Algeria. Many popular artists will be returning, including papier-mâché artists from Haiti, exquisite embroidery artists from India, jewelers from Niger, felters from Kyrgyzstan, and rug weavers from Uzbekistan. Along with booths filled with wonderful art, visitors can enjoy exotic food and live entertainment ranging from Latinrock to whirling dervishes from Turkey to the music and dance of Senegal. Its a readily affordable weekend of global experiences and connections.